Adam Bloch began working with Ridgeview Christian Church in 2013. He grew up in Missouri, but lived in East Tennessee for about a decade before returning near home. Adam graduated from Johnson University (BA) and Liberty University (MDiv). He is currently working on a Doctor of Ministry through Lincoln Christian University. He also spent several years working as an IT Administrator. Adam and his wife, Tracey, have three children. Family-time is one of Adam's favorite pastimes, but he also enjoys learning, teaching, and spending time in conversation. He also wishes that he had more time to spend hiking and studying martial arts. Allen Schofield has been a member of the Ridgeview family for several years, but in September 2014 he brought his wealth of ministry experience to Ridgeview's staff. Allen's previous ministries have included campus ministry at Missouri University of Science and Technology and youth ministry. Ryan Biles began his ministry with Ridgeview Christian Church in March 2016. He grew up in St. Louis area and completed his Bachelor's degree at St. Louis Christian College in 2013. Ryan met his wife, Elizabeth, that same year and they were married that next August. They now have a son, Bryce, who was born in January 2017! Ryan may have a slight obsession with the St. Louis Blues! In his free time, he likes to hammock, hike, play sports, and play video games. 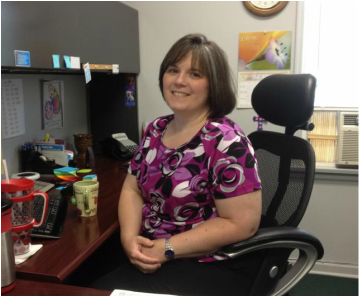 Dottie began working with Ridgeview in November of 2011. Back Row: Jim Standfast (ministry team leader), Willie Simmons (elder), Ryan Biles (minister), Bill Duley (elder), Matt SMR Rich (elder), Craig Stevens (elder), Don Stevens (elder). Front row: Steve Durbin (ministry team leader), Allen Schofield (minister), Adam Bloch (minister). While not an official position, Craig Stevens has been leading the worship at Ridgeview for many years. 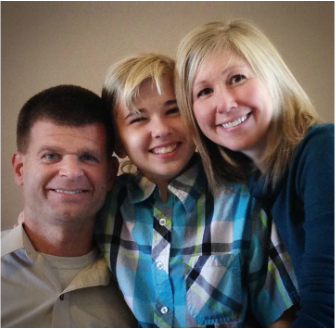 Craig grew up with Ridgeview Christian Church and is a graduate of Ozark Christian College. Beginning in 2014, Craig also assumed the role of chairman of Ridgeview's combined board.